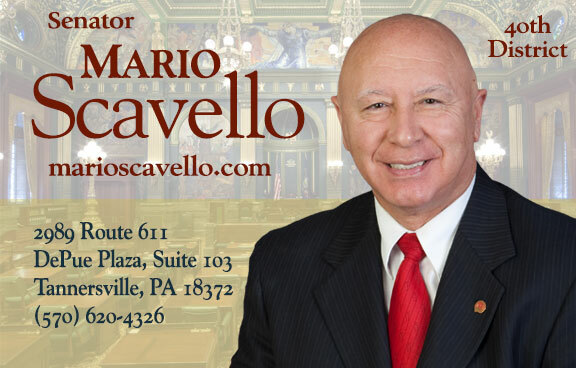 State Senator Mario Scavello held this live Telephone Town Hall event to speak with constituents about a number of state issues affecting them, with a specific focus on legislation he introduced to eliminate school property taxes on owner-occupied homes. A number of other issues were discussed as well, including transportation funding and repairs to area roads and bridges. Senator Scavello was joined by State Representative Marcia Hahn who represents the 138th district in Northampton County.